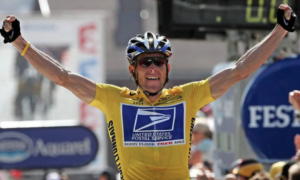 Lance Armstrong had the endurance and fortitude to overcome testicular and brain cancer, the perseverance to win the Tour de France not once, not twice, but seven times, but as for the demoralizing claims that he won by doping, he’s finally just giving up. 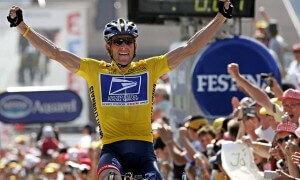 Now that the United States Anti-Doping Agency (USADA) is bringing up fresh charges on the often alleged, repeatedly disproved claim that he used performance-enhancing drugs, Armstrong refuses to defend himself anymore, and that means that he will be stripped of his Tour de France titles and banned for life from future competitions. This comes at the end of an otherwise glorious career. There comes a point in every man’s life when he has to say, “Enough is enough.” For me, that time is now. I have been dealing with claims that I cheated and had an unfair advantage in winning my seven Tours since 1999. Over the past three years, I have been subjected to a two-year federal criminal investigation followed by Travis Tygart’s unconstitutional witch hunt. The toll this has taken on my family, and my work for our foundation and on me leads me to where I am today – finished with this nonsense. I had hoped that a federal court would stop USADA’s charade. Although the court was sympathetic to my concerns and recognized the many improprieties and deficiencies in USADA’s motives, its conduct, and its process, the court ultimately decided that it could not intervene. If I thought for one moment that by participating in USADA’s process, I could confront these allegations in a fair setting and – once and for all – put these charges to rest, I would jump at the chance. But I refuse to participate in a process that is so one-sided and unfair. Regardless of what Travis Tygart says, there is zero physical evidence to support his outlandish and heinous claims. The only physical evidence here is the hundreds of controls I have passed with flying colors. I made myself available around the clock and around the world. In-competition. Out of competition. Blood. Urine. Whatever they asked for I provided. What is the point of all this testing if, in the end, USADA will not stand by it? 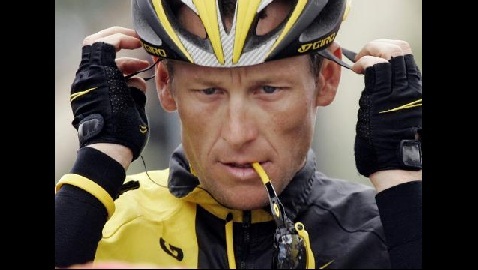 After alluding to the countless drug tests that he invariably passed, Armstrong continued to list his grievances with the USADA, insisting on his innocence and his right to all his earnings. It is not clear why he was using the language of a determined verdict, but he goes on to execute the punishment saying that the UCI was “bound to recognize our decision and impose it,” as a signer of the world Anti-Doping Code. “They have no choice but to strip the titles under the code,” he said.